Whether it is green, black, white, or oolong, what makes it true tea is the shrub it comes from, Camellia sinensis. Legend says that in 2737 B.C. Shen Nunn, the second emperor of China, discovered tea accidentally when leaves from the Camellia sinensis bush blew into some boiling water. Others claim that Shen Nunn experimented with herbal infusions of many kinds. For centuries, the Chinese have treated tea as medicinal, sometimes adding onion, ginger, spices and orange. The popularity of tea as a refreshing beverage, as opposed to a medicine, has resulted in the use of the word tea for any herb steeped in hot water and served as a beverage. Either way, true or herbal, many teas are good for us. 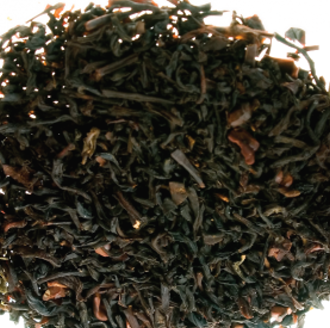 True tea contains antioxidants, and it offers caffeine for a quick pick-me-up during the day. Many herbal teas have antioxidants, vitamins, and minerals, plus as many other varied ingredients as there are herbs. Most herbal teas contain no caffeine, so they are good choices for afternoon and evening drinks. Because some herbs, such as St. John’s wort and chamomile, have ingredients that work on the nervous system or affect the body’s functioning in other ways, you should check with your doctor before using herbs and herbal teas for medicinal purposes. > Cinnamon bark and ginger root: relieves cold symptoms, stomach upset and menstrual cramps. > Sassafras bark or root: blood thinner, helps body adjust to heat. > Sage: calms nerves. Maybe it’s not just the tryptophan in turkey that makes us sleepy after Thanksgiving dinner. > Raspberry leaves: controls diarrhea. > Rosemary leaves and flowers: soothes joint pain and sore throats. > Rose hips: high in vitamin C, wards off infections.